The National Education Technology Plan believes in providing students with greater access to IT support for schools. Funding digital learning is no longer a dream. It’s a reality to maintain the standard of education across the country. Let’s dive into the top reasons why IT support for schools is a necessity to see better learning results from all students. The phenomenal growth in technology that has occurred over the past ten years attributes to higher test scores. This data is seen in a study completed in Michigan. Technology has started to pay off in a major way because it simplifies the learning experience. The education system continues to enjoy from new tech advancements. Back in the day, teachers relied on chalkboards to write down everything a student needed to recopy onto their paper. Once the class finished writing down the math problem, the writing would erase. Now, a teacher can scan and upload a document to share with the entire class as a permanent reminder of how to solve the math problem. The use of this modern tool provides students with a chance to maximize learning potential in a simplified way. The IT professionals can assist a school in preparing for administration work any time out of the year. For example, if the school sees a spike in student admissions, the IT support team can quickly organize the new data. The data lives in the cloud that contains every student’s information. Adding new students has never been easier than with some professional guidance and expert tools. Our hardworking team at The AME Group is known for providing our customers with unparalleled customer service. Outsourcing is a cost-effective approach to handling the best IT support for schools to push education forward. According to research conducted by Computer Economics, outsourcing will save you close to 40%. The school board budget is always tight. Choose a company such as The AME Group to help your school adopt the technology necessary to ensure all students receive right services to succeed throughout their years spent in a classroom. Another major pro to hiring an IT team to push education forward is flexibility. Increased flexibility is important to consider. You want to find the right provider to assist your current staff in charge of day-to-day administration tasks. 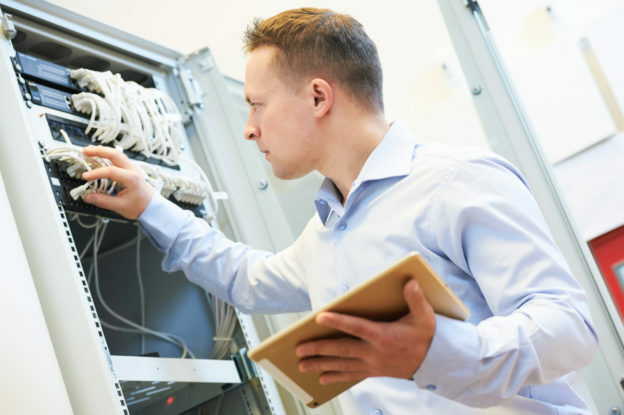 If the school you work for does not already have an IT team in place, outsourcing is the best way to get on top of scheduling, creating a help-desk resource, and maintaining encrypted data backup. Students who use the computers in the classroom will also benefit from technology in terms of higher grades. Strong IT solutions that continue to push education forward include security features to keep students in line while completing assignments. Need Your Own IT Managed? Let our team at The AME Group provide you with a hands-on consultation to design a personalized network solution for your school. We are confident that our technology services will lead to greater results when you invest in our management tools today.